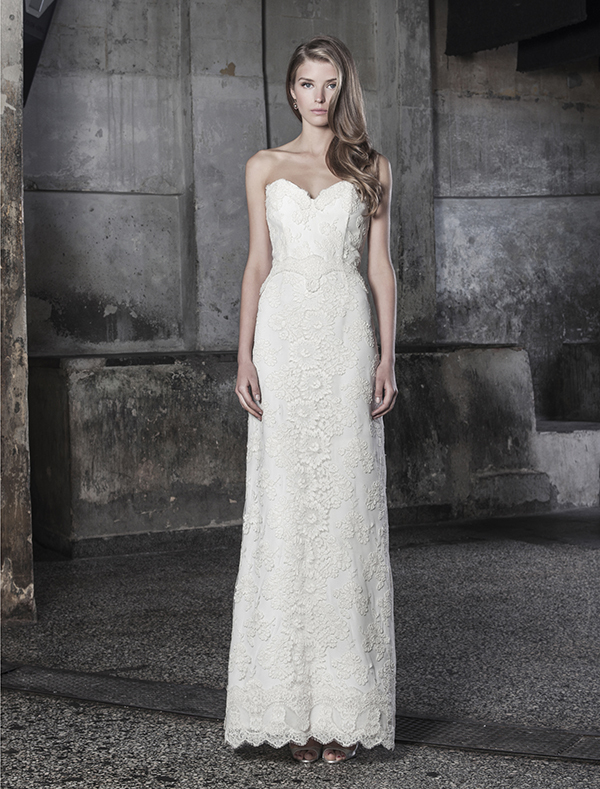 We are utterly obsessed with the 2015 collection of wedding dresses by designer Katia Delatola! Her new designs have a lovely romantic and bohemian style in beautiful soft colors: blush, ivory, saffron and ice-white. 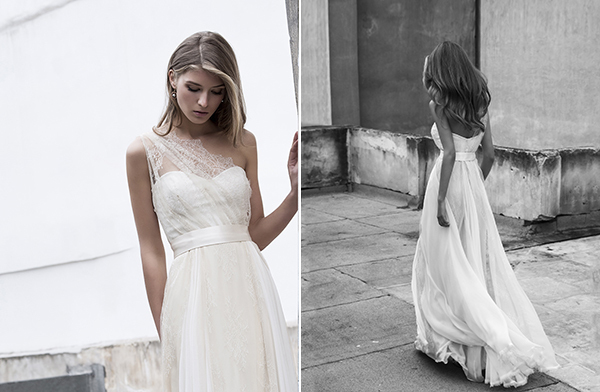 Girgeous dresses with Chantilly lace, the silk muslin, crepe and cordonet lace. A detail that caught our attention from the stylish 2-piece wedding dresses is the fitted soft bodice: with delicate materials such as muslin and lace, the bodice is extremely comfortable and so easy to wear… absolutely perfect for your wedding day! Designer Katia Delatola shared with us about her new collection: “I decided to name my new collection “I dreamt of a butterfly”, after a vivid dream I had about a butterfly”. “For a young woman, the butterfly is a sign of blissful love that eventually become an eternal connection. With this collection, I am searching for the connection between the conscious and the subconscious, the close encounter with nature and the feeling of this. I believe that having a good connection with our inner and outer world is something that makes our life beautiful! Therefore these wedding dresses are named after physical phenomena and I really hope they will refer you to something more meaningful”. 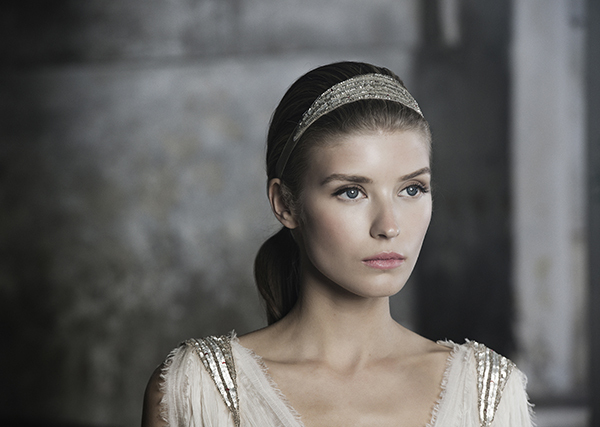 “I dreamt of a Butterfly” by Katia Delatola… a collection that encapsulates timeless romance. That shot with the butterflies is incredible!